We believe that knowledge is meant to be shared. Only through teaching and mentoring others can you become a true knowledge leader and valuable member of society. That is why we are very active in both IT and academic community. 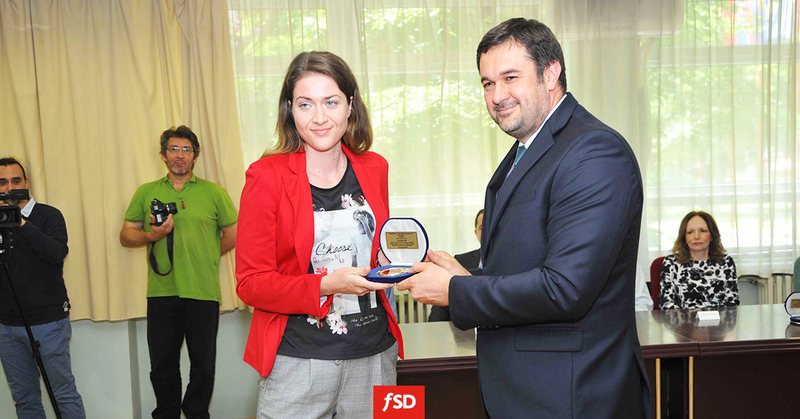 FSD was recently awarded for its knowledge sharing efforts by the Faculty of Technical Sciences. For the past two years, we developed multiple blockchain applications for various industries. It is no secret that is the most wanted technology at the moment. That is why we thought it would be beneficial to share the experience and advice with the future engineers. We organized a series of lectures about the blockchain technology at the Faculty of Technical Sciences in Novi Sad. The first one served as an introduction to the technology itself. After that we discussed Blockchain in Business Information Systems. It was our great pleasure to share past and current blockchain projects with such bright young people. We are hoping that at least some of them will find a job in this lucrative field. Last week, we were invited to the awards ceremony at the Faculty of Technical Sciences. We are proud to be one of the few companies that were awarded by them for supporting students’ professional development. We will try our best to justify the trust that was given to us. You may expect more lectures and workshops about the latest technologies in the following year. Many thanks to Faculty of Technical Sciences for recognizing and rewarding us for contributing to the academic community.